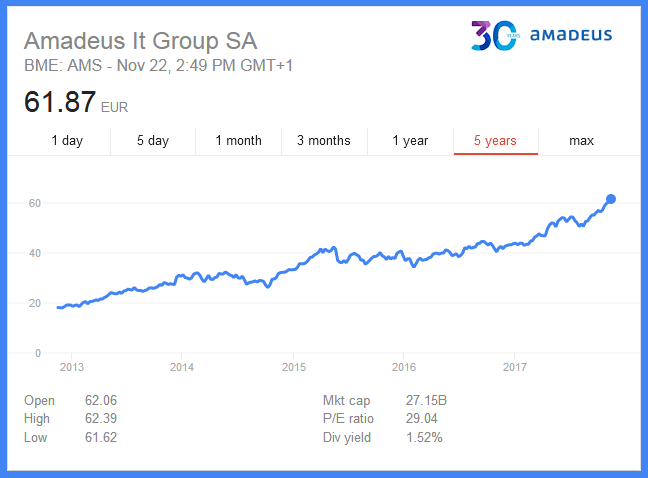 In addition to celebrating its 30th birthday, Amadeus is also celebrating its sustainability efforts in 2017. 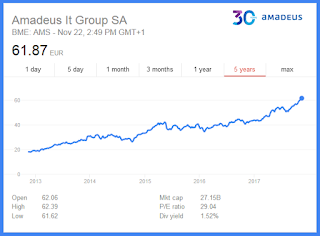 Amadeus IT Group (AMS) is a major Spanish IT Provider for the global travel and tourism industry. The company was founded in 1987 and their headquarters are located in Madrid. They currently operate in 190 markets, with a worldwide team of 15,000 people. They have invested over €4 billion in R&D since 2004. In 2016, they reported revenues of €4,473 million. As of November 22, 2017 their market cap was $27 Billion. Chief Executive Officer Luis Maroto Camino responsibility for overall company strategy as well as line management of the finance, internal audit, legal and human resources functions. He has also been instrumental in Amadeus’ return to the stock market with the company’s successful IPO in April 2010. Amadeus has a comprehensive sustainability strategy. They are engaged in organization-wide efforts to monitor and reduce the impact of their operations. They are committed to social responsibility in an effort to balance environmental, social and economic performance. Amadeus has been ranked among the top sustainability companies (Dow Jones Sustainability Index) for five consecutive years. Amadeus has won many awards for their excellent sustainability performance. In 2017 alone they were listed in Corporate Knights' 2017 Global 100 Most Sustainable Corporations in the World index. They also earned a Silver Class Distinction from RobecoSAM Corporate Sustainability Assessment (CSA) and inclusion in The Sustainability Yearbook 2017. In 2016, Amadeus scored very well in the Carbon Disclosure Project (CDP) Climate Performance Leadership Index earning them a place on CDP's Climate A List. In 2015 Amadeus won RobecoSAM Bronze Class Sustainability Award. Amadeus is not only delivering on sustainability, they are also delivering superior returns to investors.